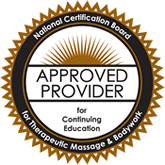 NCBTMB approved massage therapy ceus. Chapter One: What is Research? Chapter Two: What Are the Purposes? When beginning a research project, it is necessary to identify the purpose of the process. Are you looking to simply answer a question, or are you looking for a solution to a problem that you can apply to a complex community or business? This chapter helps you address these questions. There are four main approaches to research (with medical, and massage therapy, research being an offshoot of one of the main approaches). These are Quantitative, Qualitative, Pragmatic, and Emancipatory. As each purpose of research boils down to answering a question, each approach to research does, as well. The varying research approaches simply alter the path you take to get to that answer. The practice of medicine is based on applied clinical research, which combines laboratory findings with clinical experience. Findings in applied clinical research affect diagnostics, treatments, and prevention of disease and disorders. Taking research findings from the lab to the clinic is done via transitional research (or transitional science). Other methods apart from applied clinical research and transitional research are also discussed in this chapter. The National Institute of Environmental Health Sciences defines ethics as “norms for conduct that distinguish between acceptable and unacceptable behavior.”iii Researchers must follow a number of ethical guidelines as outlined by their employer, scientific body (such as the American Psychological Association), as well as by local, state, and federal governments. The ultimate question is: when are you ever going to use this information? As a massage therapist, you will encounter research at several points in your career. Of course, during your initial training you may be required to do research projects. During your career, you will need to do research for continuing education studies.